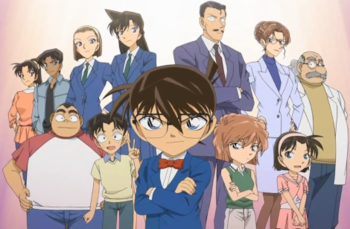 Scenario: Conan is coming back from a restaurant with Ran and Kogoro when they hear a man scream. They enter the house and find Ted has fallen off the stairs and died. He was pushed by a dog named Jack. Conan suspects Charles Peterson, Jack's owner, trained him to murder the man. Ted caused Charles' son, Micheal, to kill himself several years ago. Conan gives Kogoro subtle hints allowing him to solve the crime. 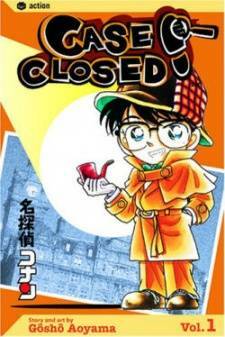 Kogoro concludes that the dog was trained to attack when he hears nine chimes from a Longcase clock and Charles' voice. Charles confesses that he had forgiven Ted for Micheal's death at the funeral. But several years later Ted had forgotten Micheal, so Charles devised a plan to murder Ted. Jack is spared and placed with one of Charles' relatives.